Your fireplace and chimney are made up of many working parts, and the more you know about these components the safer you can keep your home and family. If all aspects of your fireplace and chimney are not in proper working order a lot of things can go wrong, including something as serious as a house fire. There are two key components to every fireplace, the anatomy of the actual fireplace and the anatomy of the connected chimney. Here is a look at some of the most important parts of your fireplace anatomy. The outer hearth is the proper term for what most simply refer to as the hearth. This is the part of your fireplace that juts out from the actual fireplace opening and into the room. The hearth is specially designed with fire-resistant materials in order to prevent fire from spreading out of control. As you may have already guessed, the inner hearth is the inner portion of the outer hearth. It is the actual floor of the fireplace, tucked just inside the opening. Also known as the firebox, it is made with materials that resist a great deal of heat. 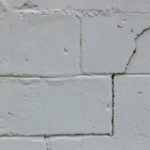 Common issues that arise within the firebox or inner hearth are related to heat damage, water damage and incorrect dimensions. The chimney damper includes a metal door that closes the chimney off from the fireplace. You can easily open and close the damper, and it must be opened every time you use the fireplace. It should be closed when the fireplace is not in use to prevent a draft from entering your home. You will find the throat damper located above the inner hearth, literally in the throat of the fireplace. New requirements state that the throat should be 8-inches or more above the fireplace opening, previous requirements were only 6-inches. A rotating metal shaft that is connected to the damper controls the throat damper. If your fireplace leaks from the firebox it is usually because the throat is not properly constructed. This small working part is shaped like a triangle and located above the throat damper, just before the start of the flue. The ash dump door is a metal door you will find on the inner hearth. It connects to the ash pit, but only on some fireplaces. The ash pit is a cavity located beneath the fireplace firebox that is meant to store ashes. You clean this pit out by opening the clean-out door. The ash pit clean-out door opens up directly to the ash pit. It is something you should be familiar with, after all it’s important to remove the build up of ashes regularly. In some homes the ash pit door is located in the basement. Beneath the ash pit is a horizontal surface technically known as the footing. 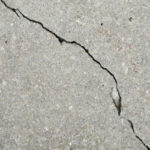 In order to make ash removal less of a hassle, it is often located outside or in the basement. The foundation of any structure is incredibly important, including the foundation of your fireplace. The foundation gives your chimney the support it requires to remain sturdy and reliable, and should be made to withstand high levels of heat. Here is a look at the most important working parts of your chimney anatomy. The flue of your chimney is an integral portion of the structure, although you can’t see it from inside of your home. It lines the inner walls of your chimney, and is typically coated in metal or some other heat-resistant material. At the tip-top of your chimney is the chimney crown, which covers the top of the chimney. It is shaped in a slope to direct water away from chimney bricks and guard against water damage. The chimney cap (also known as a rain cover) is similar to the chimney crown as it works to keep the elements, such as water, from damaging your chimney. 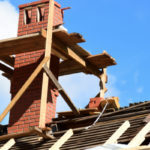 Since the chimney crown is located on the top of your chimney it is common for it to break or become dysfunctional without a homeowner’s knowledge. A chimney cap is the cheapest way to protect your fireplace; otherwise water, snow, debris and other elements can enter your chimney interior freely. 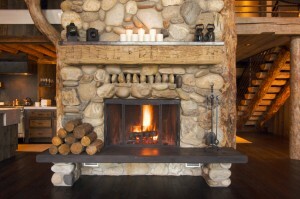 The chill of winter is upon us and with it comes a greater appreciation for your fireplace. The first few times you ignite your fireplace every winter presents the greatest risk for issues, as a long period of inactivity during the summer allows things to build up, such as an animal nest at the top of your chimney or an unsafe build up of creosote from the previous winter. Having your chimney inspected and cleaned before the start of winter is highly recommend in order to protect your home and family. 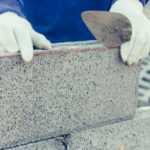 Contact Turnbull Masonry for chimney inspections, repairs, rebuilds and maintenance… if it is related to masonry there’s no one better for the job than us, guaranteed!